The town of Marlboro, Vermont is located in Windham County. Marlboro is easily accessed from Route 9. Marlboro Village is located about 15 minutes west of Brattleboro. Marlboro was settled in 1736 and named after John Churchill, First Duke of Marlborough. Marlboro is a small hill town. 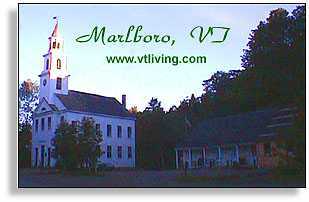 Marlboro is a popular four-season vacation destination. Skiing, hiking and bicycling are popular activities. The town of Marboro Vermont offers antique shops and some fine lodging and dining in town and in nearby Brattleboro. 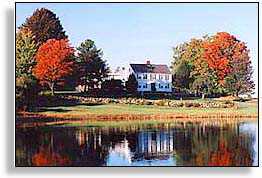 Marlboro was Chartered April 19, 1751. Marlboro College, a small liberal arts school with high scholastic standards, is located here. Marlboro College has achieved international fame with its summer music festival called Marlboro Music. The Marlboro Music Festival presents world class chamber music in a most unique setting. In its early years Marlboro was noted for the large number of wolves that roamed the hills. The town was also the site of numerous clashes between the early settlers and Indians. 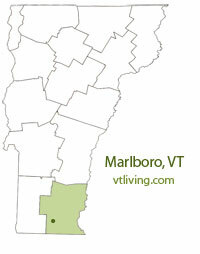 To share any Marlboro, VT information, contact us. Learn more about advertising in VTLiving.